All Praise and thanks is for Allah alone who has given us this life everything we have in this life and to whom we owe everything. Hill Farm Finest has been set up primarily to serve the domestic residential market. It is clear that people at home have found it notoriously difficult to find the finest quality of halal beef and lamb in the UK. Historically it has not been available at all, however, those in the know have been able to get hold of something either from the U.S or Australia. Other than that we have had to get whatever we can from supermarkets that have Halal outlets or wherever else it can be sourced from. We at Hill Farm Finest aim to change this by supplying a true farm to fork experience. We completely breed and rear our own animals and have generations of experience in doing so. One of our two co-founders is a fourth-generation farmer and is well versed in the art of rearing animals to develop a fine taste and to develop the marbling to create a fantastic end product for us to enjoy. We have total control over our animals that we provide to the end user, all our animals are born on the farm or are brought in at an early age, typically 6 months. They are then reared to reach the age of a steer or heifer (24-30 months) before they are slaughtered. The slaughter process is the only time the animals leave our farm (up to 24 hours) otherwise in their life cycle they remain with us hence our offering “a complete farm to fork experience”. This is quite unique in the halal market in the UK when it comes to Aberdeen Angus and lamb. This is why “our process sets us apart”. Unparalleled in reputation, the Aberdeen Angus is Britain’s favourite breed, but is equally revered in the steak cutting traditions of Argentina, the United States, and South Africa. Its popularity is a direct consequence of the marbling that evenly runs through the meat to give the beef its renowned rich and indulgent flavour. Due to its quality and popularity, we hang prime Angus beef the year round, All our Aberdeens are hung for a minimum of 21 days. 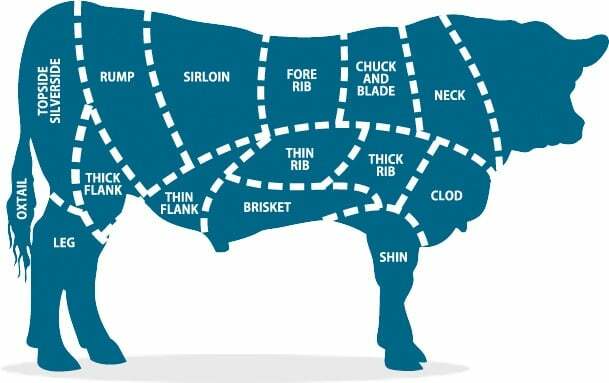 As we are the farm and the animals are ours we are able to provide all cuts to order. If anything is not listed on our product list and you want to order something unique do not hesitate to contact us and we will provide you with the answer. We rear a variety of breeds of Lamb at Hill Farm Finest and are proud of the techniques we use to ensure quality always remains our number one priority. What remains constant is delivering a product with a beautiful taste and tenderness. Our Lambs are carefully selected and rared. 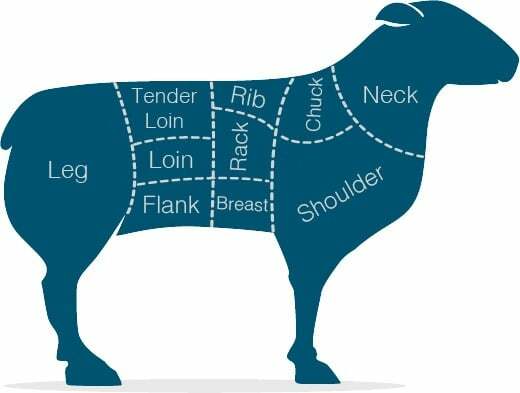 Our Lambs are grass fed and can be bought as a half or full, then processed and packaged to your specification.